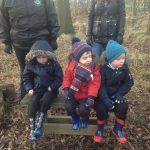 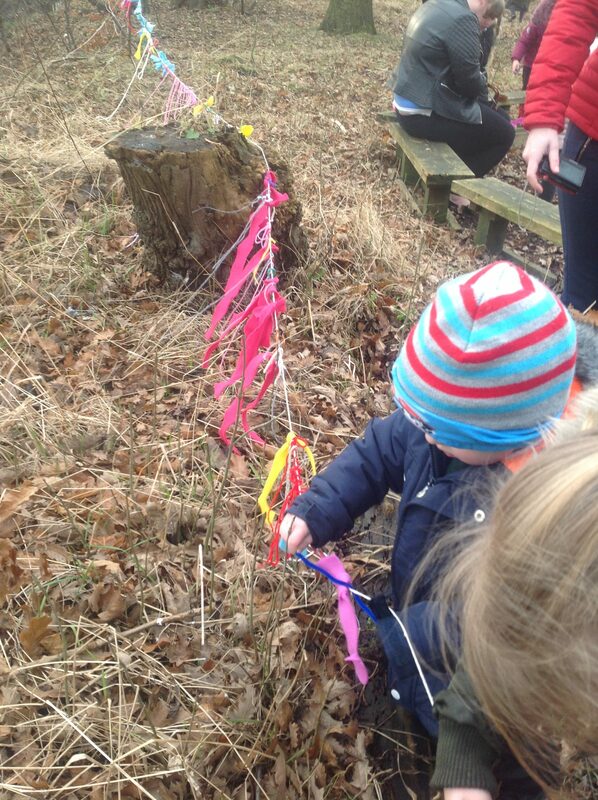 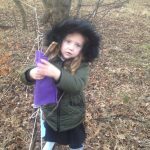 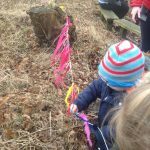 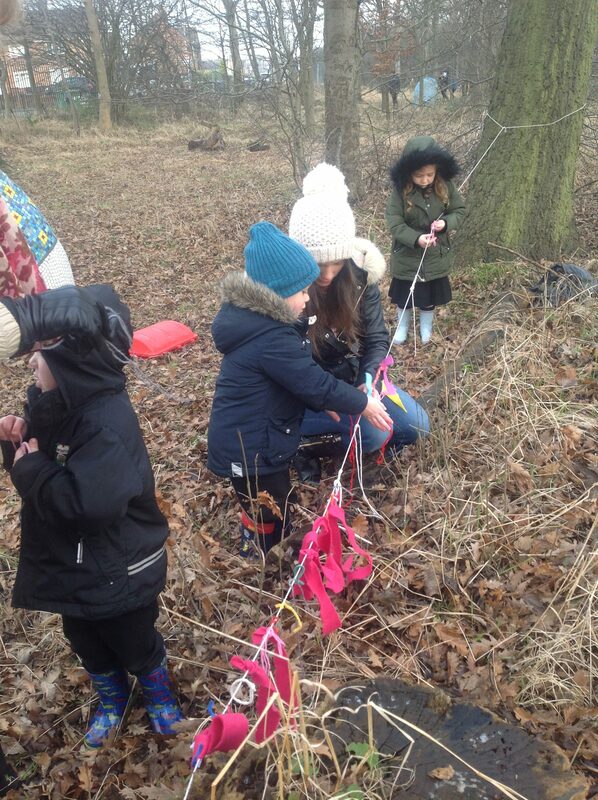 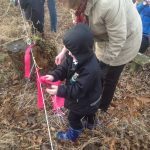 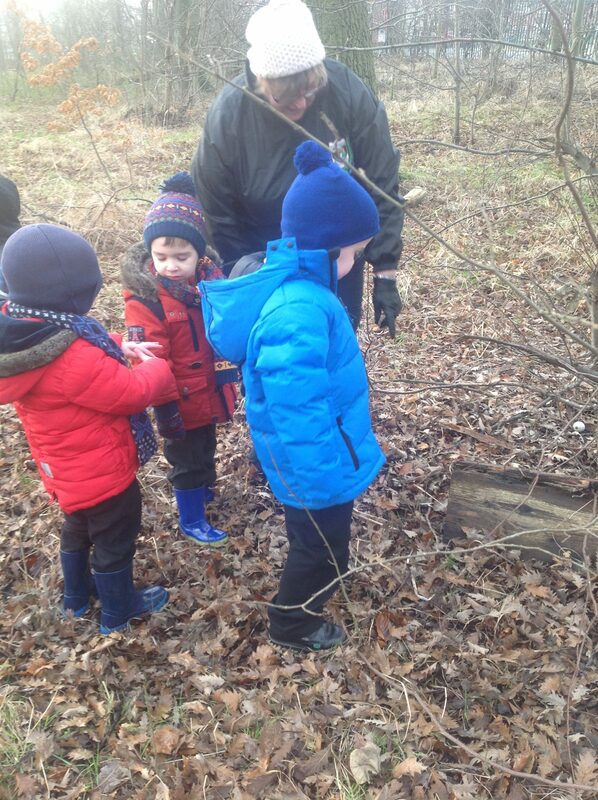 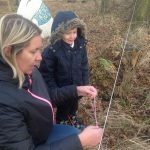 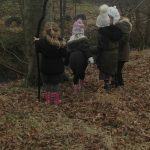 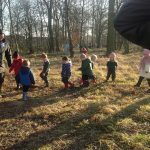 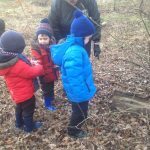 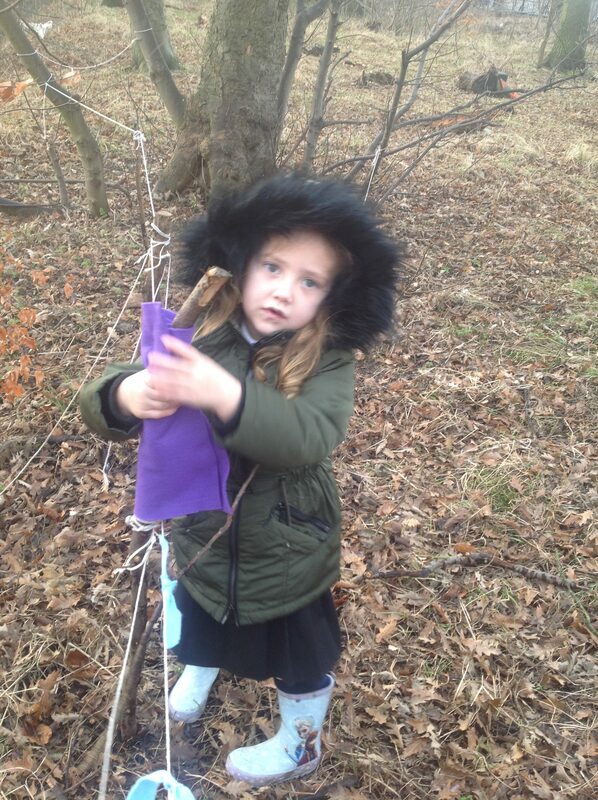 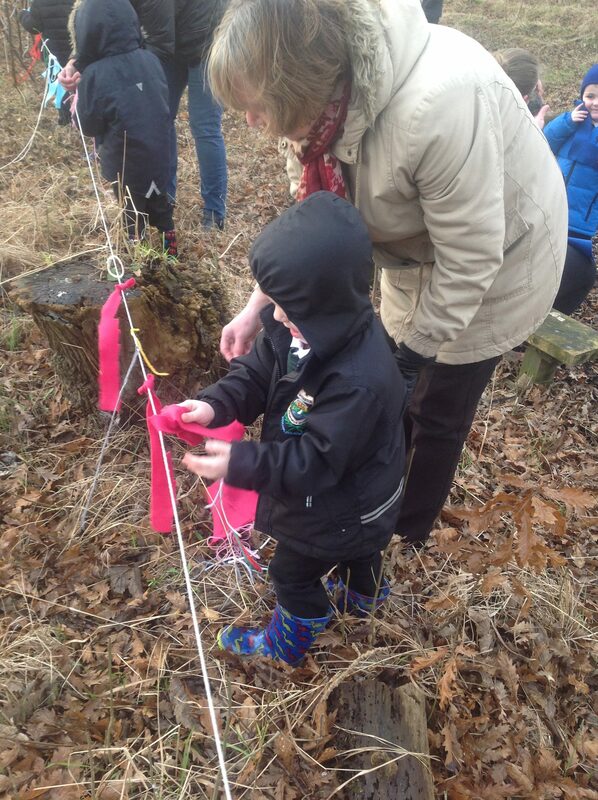 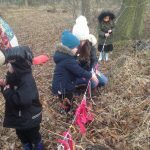 During into the woods week nursery spent time building dens and shelters for animals, making bird feeders and decorating our section of the new fence along the side of the stream. 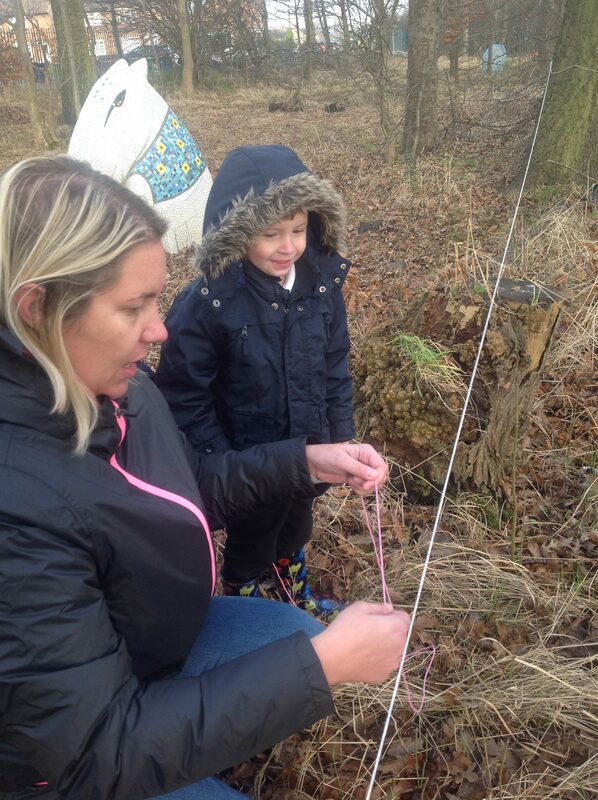 We had some help from several parents and grandparents and our link governor for DT. 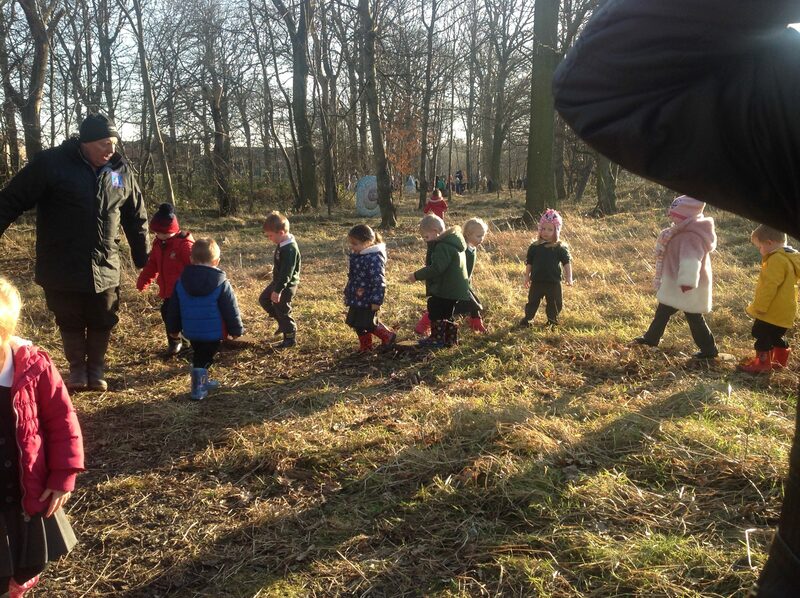 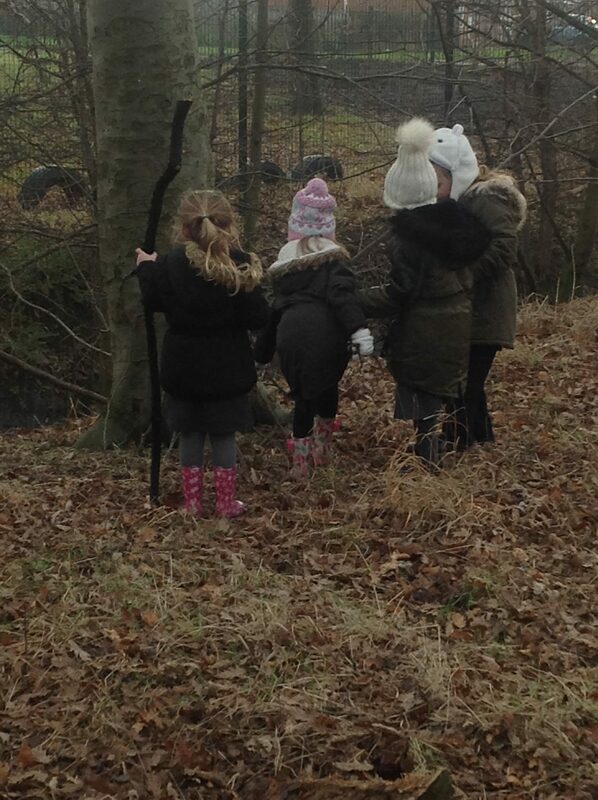 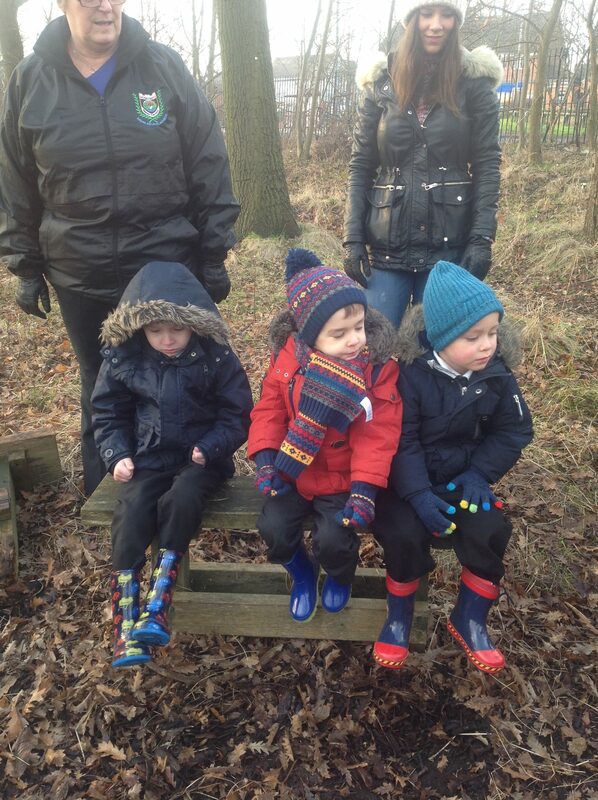 The children spent time warming up by the fire and using some of the logs as stepping stones with Mr Bell.